OCEAN BEACH, CA. It wasn’t all fun and fireworks in Ocean Beach on July 4th. Christopher Bowd was somehow and somewhere knocked unconscious possibly on Newport Avenue after the marshmallow fight and taken to a hospital – where he remains today still unconscious. Bowd’s family and friends are seeking answers and are turning to the rest of OB for help. Police are currently conducting an investigation and believe Chris was injured at Newport and Bacon around 11pm July 4th. Chris Bowd, forty years old, has lived in OB for 4 to 5 years. He and his girlfriend Colleen were down at the beach during Saturday’s festivities. They watched the fireworks and were around the marshmallow fight. Chris then told Colleen that he was going home. She remained at the beach with friends. When she returned to their OB home, he wasn’t there. He wasn’t found until 7:30 Sunday morning when friends, calling around, discovered that he was at UCSD Medical Center. And he was unconscious with head and facial injuries – with possibly brain injuries, although no scratches. Because Bowd is still out cold, no one knows what happened. Everyone, family, friends – the doctors, the police – are all completely baffled. The family and his good friends are turning to the rest of Ocean Beach – or any visitors who were present at the beach on July 4th – for immediate help. If anyone knows anything about what may have happened, please contact this blog, the OB Rag or the police. 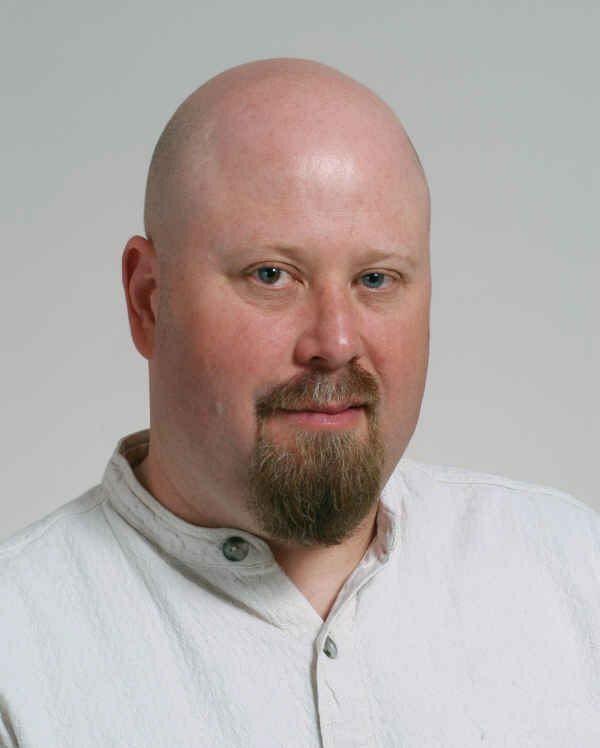 Chris is white, 5 feet 10 inches, and weighs 210, has a reddish goatee, and is bald. Contact the Blog immediately if you do have any info. Call 619-962-4804, or call police at 619-531-2000. Christopher Bowd is right now in very serious condition with very possibly brain injuries. He has a PhD and is employed at UCSD as a medical researcher. He and his girlfriend are residents of Ocean Beach. His mother from LA has arrived in town to see and look after her son, who is, of course, still in intensive care. This afternoon Police investigators were on Newport Avenue in front of Bravos restaurant at the corner with Bacon, having taped off part of the sidewalk, looking for blood spots or any other evidence. Bowd’s friends contacted the blog early this afternoon and asked us to go to the community for help. That’s a great idea Edie! While there’s not really a bank that’s very close, there is a Wells Fargo ATM right across the street next to Starbucks. I’d think that in this day and age that between Bravos, Newport Farms, Starbucks and Max’s that someone has some video and could break this case open. Still praying for Chris and family. Just found out the news (first chance I’ve had to get on the computer most of the week) and my heart just dropped. My most positive healing thoughts and prayers go out to Chris. I agree with all of the above posts 1) Somebody MUST have seen something at that time and that place on that day and 2) the marshmellow (“cream puff”) wars have gotten out of hand – no longer a friendly spontaneous thing, but now something groups of people plan for like a battle and engage in with aggression rather than laughter. Chris is a strong guy with an amazing brain. He himself knows better than anybody about the healing power of the brain and is probably working on the problem himself internally the same way he conducts research, in a precise and logical manner, which may be why it’s taking him awhile to come around. I keep wondering what he’s going to say about it all when he’s recovered. That does describe what I’ve been thinking just perfectly. Come on, Chris. Get yourself back here, pronto…you did say you’d play with us at our gig next Saturday! Oh hell. I’m losing it. Please be well, Chris. I hope you sense the outpouring of love for you. There will be a new day and we’ll listen to Budgie, and you can make me laugh like no other soul can. Congratulations Frank on getting the word out! It’s so weird how media sources decide what to report on and what not to. I hope they figure this one out. I am shocked….. Can’t imaging how anyone can harm Chris. He is ne of the most mellow and happy and nice people, especially for someone who has such a great intellect. Our prayers and wishes for your speedy recovery, Chris, and I hope that you will be as sharp as ever when we see you again!